The work and life of legendary artist and activist Harry Belafonte will be celebrated during a concert at Aaron Davis Hall on Thursday, March 1, at 7:30 p.m. “Turn the World Around: The Music and Legacy of Harry Belafonte” will present audiences with a special evening of songs and stories in honor of and on the icon’s 91st birthday. Presented by City College Center for the Arts (CCCA), the concert will showcase performances by members of the Belafonte Alumni Group, a collection of artists who have toured with and shared the stage with Harry Belafonte for decades, including vocalists Ty Stephens and Branice McKenzie and pianist/Belafonte musical director Richard Cummings Jr. Always in the vanguard, Harry Belafonte has had a remarkable career spanning the industries of music, film, theater and beyond. 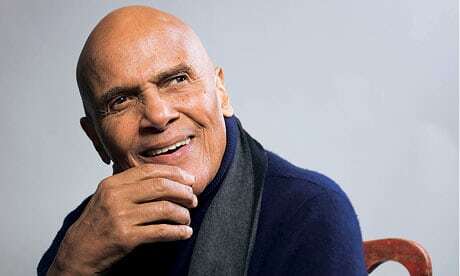 Belafonte first garnered international acclaim in a singing career that introduced global audiences to calypso music with hit songs such as “Banana Boat Song (Day-O)” and “Matilda”; he went on to star in groundbreaking films including Carmen Jones (1954), Odds Against Tomorrow (1959) and Buck and the Preacher (1972). In addition to a pioneering entertainment career, Belafonte is renowned as an unflinching fighter for social justice. His dedication to humanitarianism has included working as a civil rights activist alongside Martin Luther King Jr., fighting in the anti-apartheid movement, organizing the 1985 “We Are the World” famine relief song and working to end countless other injustices around the world. The “Turn the World Around” tribute concert will allow audiences to experience a multimedia event including songs from the Belafonte catalog performed by those who know him best as they share anecdotes of their time with the legend both onstage and off. As they celebrate Harry Belafonte’s life and his many contributions to music and political activism, Stephens and McKenzie will be joined by fellow Belafonte Alumni Group members, including La Tanya Hall, Sam McKelton, Sharon Brooks, Gabrielle Lee, Deborah Sharpe-Taylor and Roumel Reaux. They will be accompanied by Emanuel “Chulo” Gatewood (bass), Damon DueWhite (drums), Gregg Fine (electric guitar), Paul Ricci (acoustic guitar), Neil Clarke (percussion), and John F. Adams (keyboard). Under the musical direction of Richard Cummings Jr., the evening will include renditions of hit songs including “Turn the World Around,” “Try to Remember,” “Jamaica Farewell,” “Banana Boat Song,” and more. “This production is part of the development of an ongoing tour of this material designed to expose audiences everywhere to Harry’s music and to his amazing life. There is no one carrying his musical legacy forward, thus far. It’s up to us,” stated Ty Stephens, event organizer and member of the Belafonte Alumni Group. Mandela. We have never forgotten all that Mr. Belafonte has done for Aaron Davis Hall and this community and it is only fitting we participate in this special celebration in his honor,” said CCCA Managing Director Gregory Shanck. Tickets are $30 general admission and are available for purchase online at www.citycollegecenterforthearts.org or by calling the box office at (212) 650-6900. Patrons wishing to buy tickets in person before the March 1 concert date may visit Aaron Davis Hall Tuesday through Friday from 12 noon to 6 p.m. Aaron Davis Hall is located on the campus of the City College of New York, at West 135th Street and Convent Avenue (129 Convent Avenue). City College Center for the Arts can be followed on Twitter at @ccnyarts. For more information on the “Turn the World Around” tribute concert and other events at Aaron Davis Hall, visit citycollegecenterforthearts.org.